I was losing a battle with the sun, and didn't have my bottle handy, so I just went with it. This color was gorgeous and eye-catching! 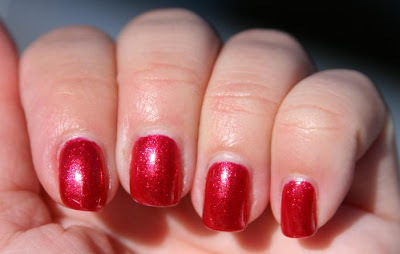 Dainty Darling Digits has some better pics of the collection it is from. Love the Milani polishes. I just started buying these earlier this year. Love this shade on you. Some are more special than the others and this is one of them.